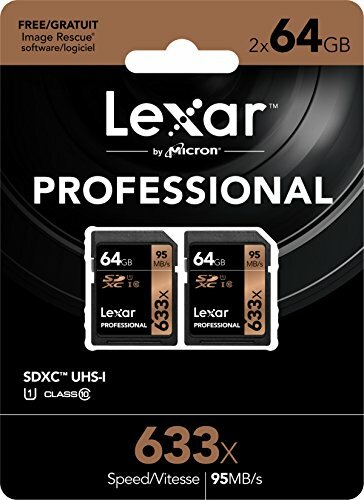 Lexar Professional 633x SDHC/SDXC UHS-I cards let you quickly capture and transfer high-quality photos and 1080p full-HD, 3D, and 4K video, with a read transfer speed up to 633x (95MB/s). The cards leverage UHS-I technology (U1 or U3, depending on capacity) for high-speed, Class 10 performance. And when using a USB 3.0 card reader, you’ll power through post-production with high-speed card-to-computer file transfer. This dramatically accelerates workflow from start to finish, so you can save time and get back to the business of photography. Cards include downloadable Image Rescue software, and come with a limited lifetime warranty.